Can You Buy Real Estate with Bad Credit? If you have bad credit, are you stuck in your parent’s basement for the rest of your life? Thankfully, no, and there are ways to get around a low credit score. Of course, you should also go over your credit report carefully to make sure everything is reporting properly. You can dispute any mistakes you find with the credit agencies and hopefully get a positive correction. Beyond that though, you don’t have to depend entirely on your own credit score to purchase a piece of real estate. 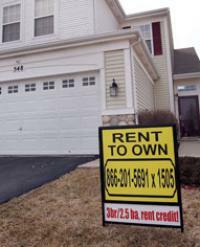 Sometimes if you’re unable to buy, you can make a rent-to-own agreement with the buyer. Usually, these work when the current owner is not in a huge hurry to sell the property. Rather, this kind of agreement gives them a steady stream of income for a longer period of time. You can move in, start making payments and each of these will go towards the purchase price over time. Once an agreed amount of time has gone by and you have consistently made payments for rent, the option to buy will become viable. Because you have already set the purchase price at the beginning of the agreement, the average home price at the time will not affect your purchase agreement. Some might say this kind of deal might work against you if the real estate market was more expensive when you set up the deal. However, if you’ve been planning around this number all along, it shouldn’t affect your current budget in a negative manner. Keep in mind that any improvements or repairs you’ve made to date have only served to increase the home’s equity. That means you’ve been putting money in your own pocket, even though you were paying it out to local home improvement stores. As long as you remember that you’re not stuck behind a bad credit score, you’ll start to learn about more real estate purchase agreements. This can give you more options and help you build up that credit score over time.